I'm new to Dolphin, started today. I tried out the new Super Mario Bro's and it worked fine, no issues of any kind. But I'm now trying to play The Simpsons game, and having some trouble. Game works fine until I get to actual gameplay. The menus are fine. I can't figure out how to fix this. I tried messing around with the graphics options via Dolphin and nothing helps. I have to set the internal resolution to 4x native(2560x2112) to make the game not be a jumbled mess. I've tried EFB Copies of Texture and RAM(with fast cache), no luck. Texture just makes it worse. Is the game itself just not working with Dolphin, or can I make this work somehow? 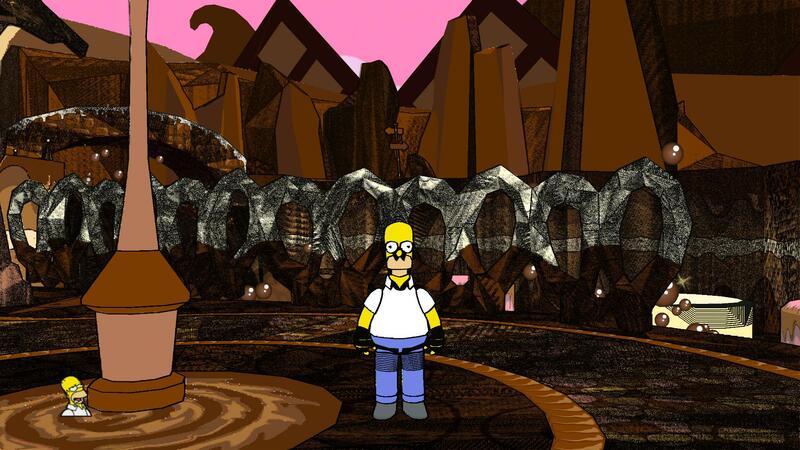 Seems that The Simpsons game just doesn't work well right now. But if anyone has any ideas on how to fix this, I'd love to hear them. This is one of those games that have never worked in Dolphin.